Ottawa has turned into a foodie city – we have too many food bloggers to count. So who are they – the up-and-coming chefs? It is pretty easy in Ottawa to find restaurants especially the mediocre ones. But these chefs are among Ottawa’s best with kitchens ranging from a tiny room with no traditional stove to a palatial space with a walk-in meat fridge the size of my kitchen. 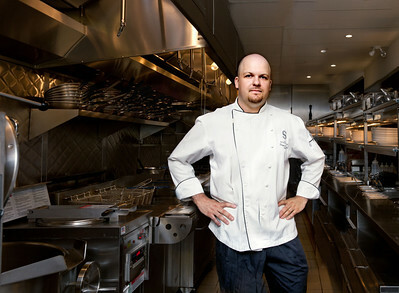 When I take a portrait of a chef, what about them should I emphasize? Their kitchen? The food? Their passion? The chefs portrayed here are a group of rising stars – each with a unique passion and love of food. One loves to share her knowledge, one to be ‘inclusive, one loves fish and another liquid nitrogen. All love local ingredients and visit local producers/farmers. They are all involved in hands-on cooking even if they are executive chefs – their love for their craft requires this attention. My interest in food is a long-standing one. Working in restaurants as a teenager, I loved to poke my nose in the kitchens. 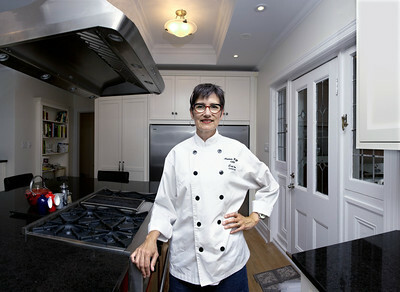 I like to cook and I love to eat and my curiosity gets satisfied when I visit kitchens here in Ottawa and in my travels. This project is a continuation of that interest.